Urban Classic Lighting - Made in the USA! ~ DISCOUNTS! 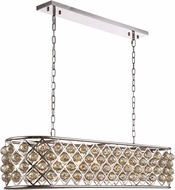 Innovative Crystal Lighting Designs - Made in the U.S.
For classic, sophisticated styling, browse the Urban Classic Lighting collection. This designer, founded in 2000 in Philadelphia, Penn., specializes in crystal lighting. Through their unique and innovative designs, the company has flourished and has become the fastest-growing crystal chandelier business in the industry. They consider each lamp they produce as a work of art, carefully overseeing every aspect of its creation. Urban Classic Lighting comprises more than 3 dozen collections, from the simple and stately Gemma burnishing brass island lighting, to the ornate and elegant Elena chandeliers. There are designs that look like modern works of art, such as the Ophelia island lighting, and simple yet stately flush mount globes with polished nickel and polished gold finish. Their Madison hanging lamps feature royal cut clear crystal, while their cascade chandeliers have many small shades that make a dramatic centerpiece for a formal dining room. The clean lines and uncluttered look of the Regina chrome table lamps perfectly complement a contemporary desk or living room side table. 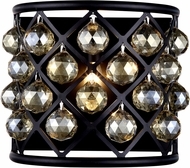 Wall sconces work nicely as accent lighting in living rooms, bedrooms, bathrooms and hallways. There are many styles to choose from, such as the Cork contemporary vintage steel and other designs that are also available in pendant or island lighting, which makes it easy to create coordinated lighting throughout your home. Since 1999, AffordableLamps.com has offered the lowest prices on fine luxury lamps from the world's leading designers and manufacturers. We were one of the first lighting showrooms online, and our inventory numbers more than 30,000 lighting products. Our 125 percent low price guarantee ensures that you'll get the best price, and we add a 1-year warranty on top of the manufacturer's warranty for 2 years total. If you have any questions, give our knowledgeable staff a call. We pride ourselves on exceptional customer service!